LAST CHANCE to own a new construction home in our community! This is your chance to own one of the LAST new construction homes built by Berkeley Building Company in Reflection Ridge! The views are AMAZING, the interior selections are well thought out and the backyard is huuuuuuge!! Popular Todd Campbell Custom Homes Model with NO backyard neighbors! 729 E Crest Ridge Dr. | $424,900 Enjoy NO BACKYARD NEIGHBORS & 2nd STORY VIEWS! The "Cartwright" by Todd Campbell Custom Homes lives spaciously. HUGE 4 car garage with beautiful epoxied floors. Light & bright Kitchen/Great Room/Dining area, just feels like home! 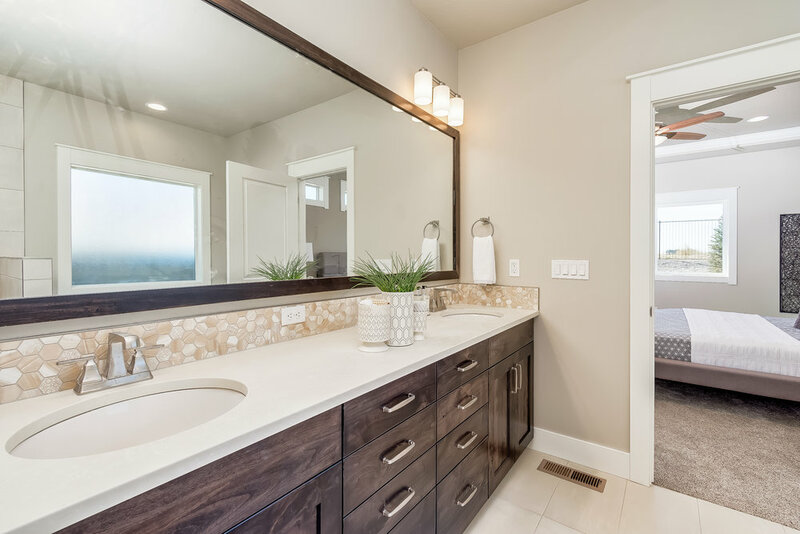 Everyone will find privacy and space to grow in this smart floor plan. Main level office & Upstairs Bonus Room. Master Suite is a relaxing retreat with luxurious spa like feel. Great big back yard! Located in Reflection Ridge with Community Pool, Sports Courts, Clubhouse & VIEWS! Open House this Saturday and Sunday from 12-5 pm. Single Level + Bonus Room with No Back Neighbors! One of Todd Campbell Custom Homes’ most popular plans the “Grey Heron” sits at the peak of the community in the final phase of Reflection Ridge. This special home features NO backyard neighbors so you can enjoy the large covered patio and backyard in privacy! 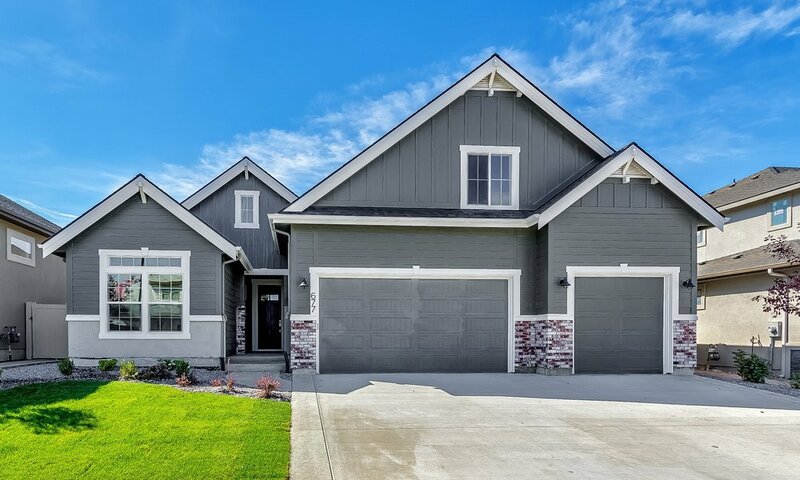 This flexible floor plan is complete with upstairs bonus room, full bath & closet (great use as home theatre, family room, 4th bed or guest suite!) Designer colors, lighting, and artisan materials amplify the feeling and flow of each space of this home. OPEN HOUSE Saturday & Sunday 12-5pm @ 677 E Crest Ridge Dr. in Meridian. Stop by the OPEN HOUSE this Sat & SuN from 12pm-5pm!! Take a look at this spectacular home built by Berkeley Building, Co. in the community of Reflection Ridge. Second Story Views & No Backyard Neighbors! You'll fall for the custom cabinetry, designer lighting, Bosch appliances and quartz counter-tops creating bright and positive spaces. Brand New Spacious Home Built by Todd Campbell Custom Homes! "The Cartwright" really has it all. Features include oversize 4 car garage, a Kitchen/Great Room and Dining area that feels great and has lots of light plus a office looking out to the covered front porch. Everyone will find privacy and space to grow in the 3 upstairs bedrooms, oversized loft and a large and elegant master suite. Artisan tiles and hardwoods accented by designer colors amplifies the feeling of every space. New Home by Todd Campbell Custom Homes!! 732 E. Crest Ridge Dr. | $507,900 | Designed for family living! 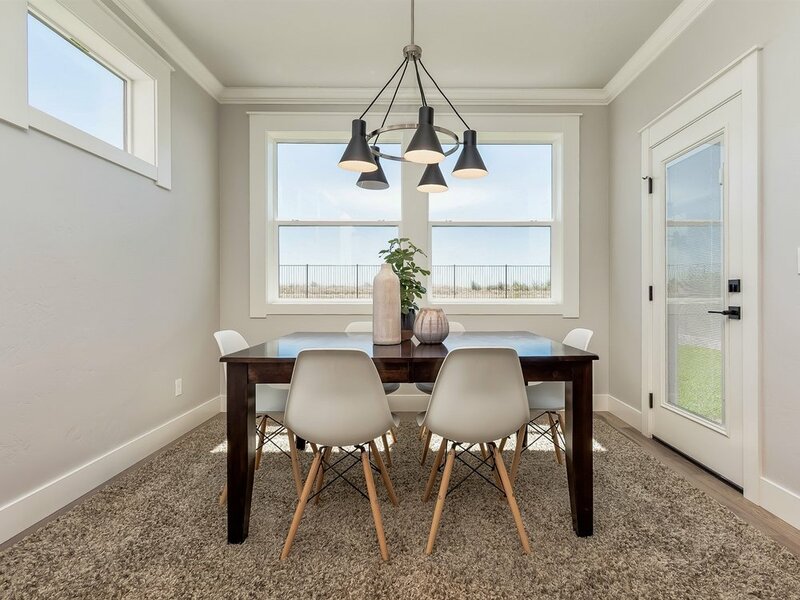 The Marigold by Todd Campbell Custom Homes offers family living space is on the main level with a home office, open concept living area and large gourmet kitchen. 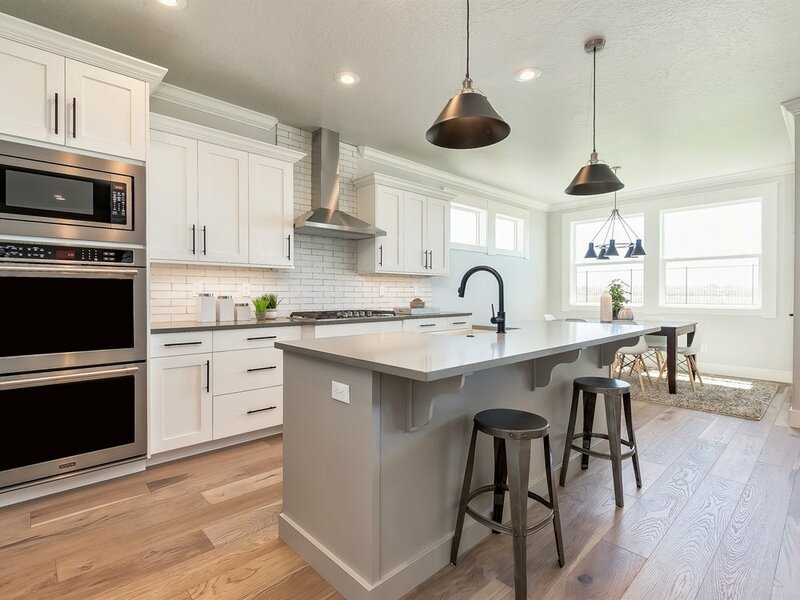 The kitchen in this home rivals any home. The large bonus area offers a theater room or large activity room for the kids or perhaps a 5th bedroom. Room for just about everything including the 3+ 851 SF garage. All in the uniquely terraced community of Reflection Ridge! Biltmore Co. pays attention to detail and their style is exceptional!